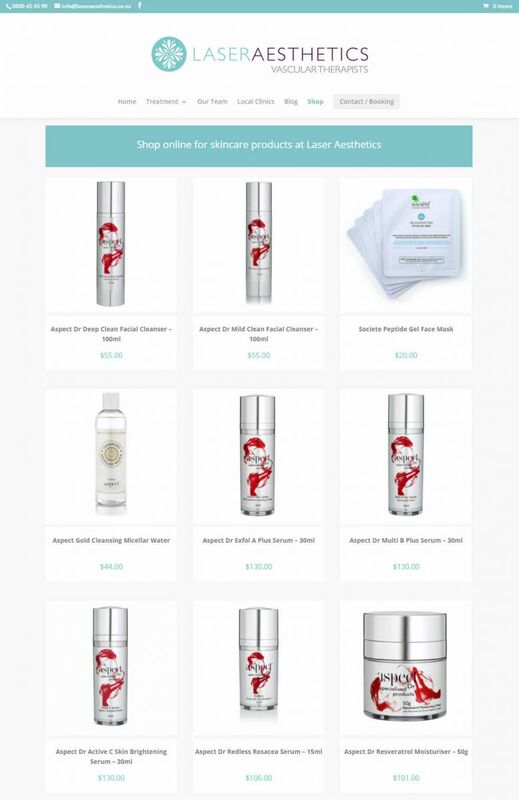 Nectarine created a secure e-commerce site for Laser Aesthetics. It tells the story of their services with clean, precise design, and the online shop offers their full range of skincare products. 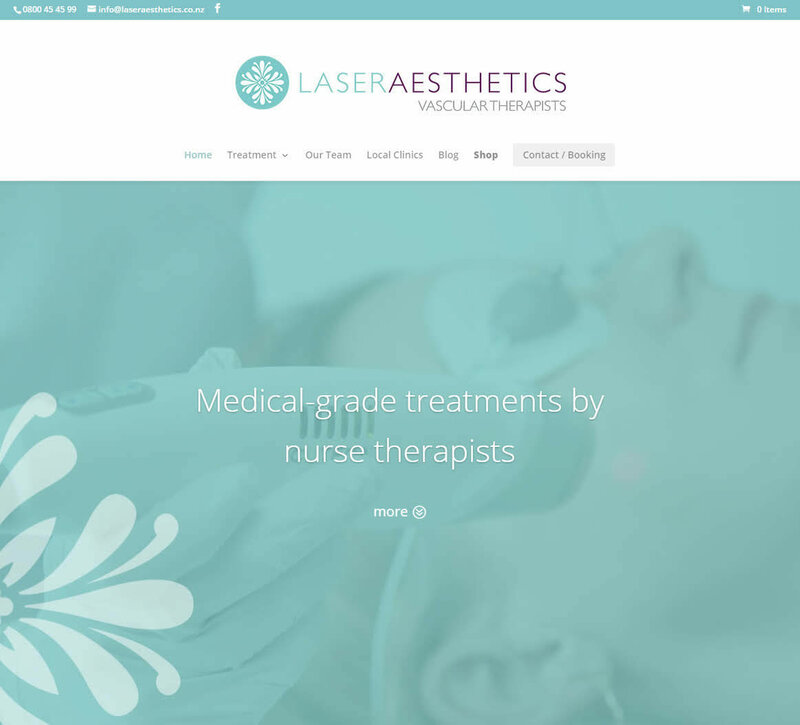 Laser Aesthetics provide medical-grade treatments by nurse therapists. 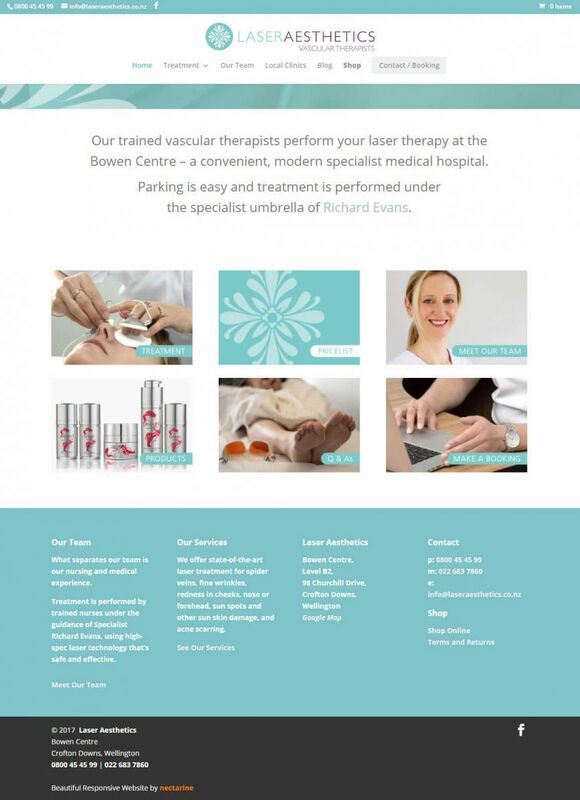 Their trained vascular therapists perform laser therapy at the Bowen Centre – a convenient, modern specialist medical hospital. 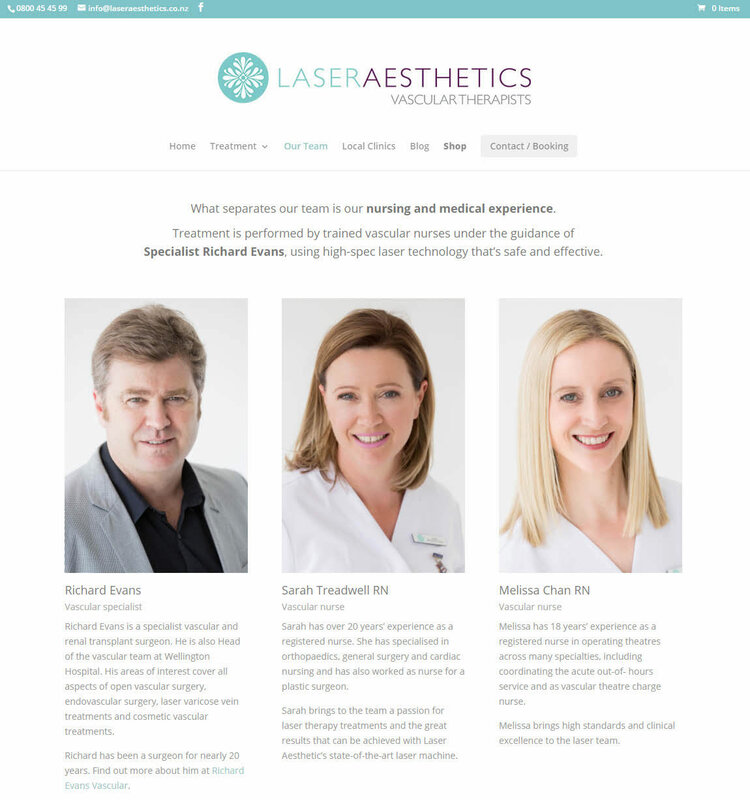 Laser Aesthetics offer state-of-the-art treatment that encourages collagen production and fades redness caused by microvascular proliferation. 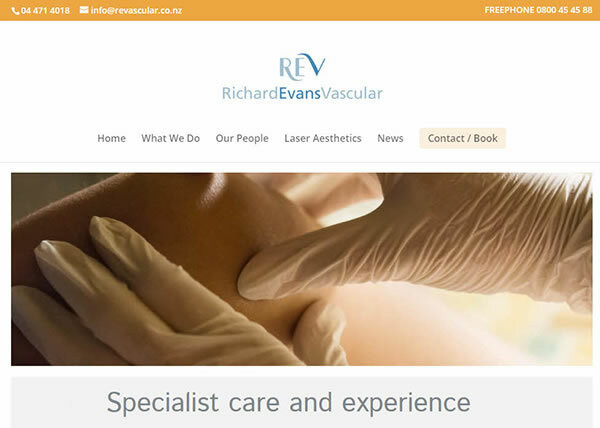 recent scars – if your scar is less than 12 months old, our laser may help reduce the redness. Spider vein treatment for the face or legs – the laser gently heats the veins so they collapse and eventually reduce or fade away. Intense Pulsed Light (IPL) for hair removal on legs, arms, underarms, face and back and treatment for sunspots, skin pigment and facial redness.